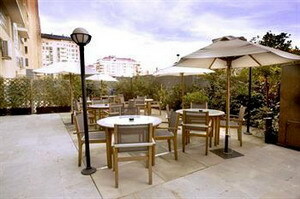 The ultra-modern AC Hotel Valencia occupies a spot in the new section of Valencia, Spain, five-hundred meters from the City of Arts & Sciences complex. The City of Arts & Sciences complex boasts L'Hemisferic (iMax theatre), L'Oceanografic (aquarium), the interactive Science Museum Principe Felipe and a botanical garden. 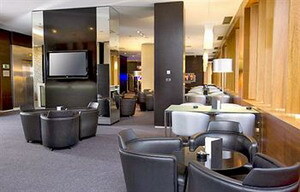 A host of shopping opportunities also lies within meters of the hotel. 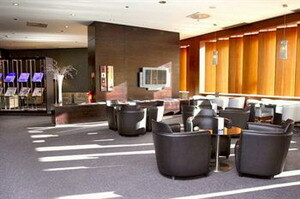 Moreover, the hotel stands only two kilometers from sandy beaches along the Mediterranean Sea. In the minimalist-style lobby, fresh limey hues compliment light wood walls. Moreover, the lobby's velvet sofas sport metal appendages and offer an ideal spot to read a complimentary newspaper while sipping fresh java from the coffee bar. 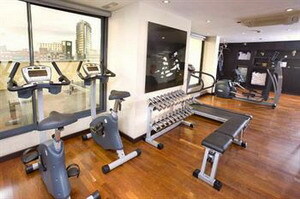 Other relaxing amenities include a fitness centre and steam room. 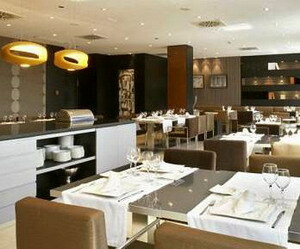 Meanwhile, chefs at the AC Valencia restaurant, Alos, prepare gourmet Mediterranean dishes with fresh local ingredients. 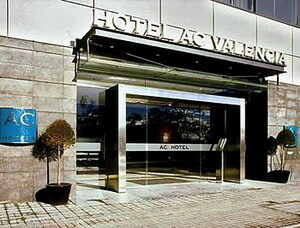 Additionally, AC Hotel Valencia hosts business and social functions in its six meeting rooms. Expert Tip: While the hotel is housed in the new section of Valencia, the historic old town lies within two kilometers and features ancient architecture, including the ornate 12th century gothic cathedral. 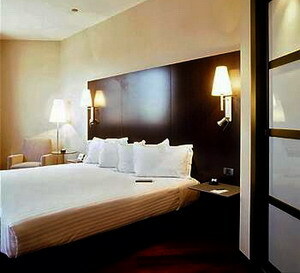 The hotel's 174 minimalist-style guestrooms display dark wood trim, flooring and furniture. 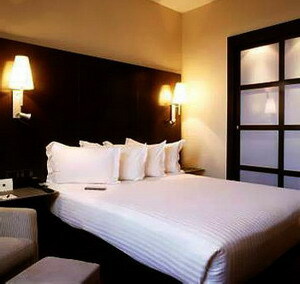 Beds and windows are dressed in shades of white. 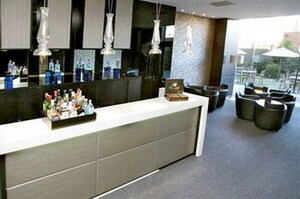 Cold beverages from the room's minibar compliment snacks from the 24-hour room service menu. 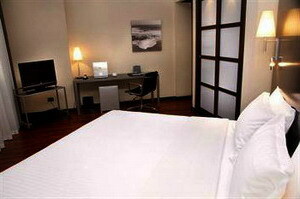 Among the complimentary amenities, the room supplies bottled water, daily newspapers and toiletries. Wireless Internet and work desks provide functional office accommodations. Meanwhile, private bathrooms feature steam regulating mirrors.